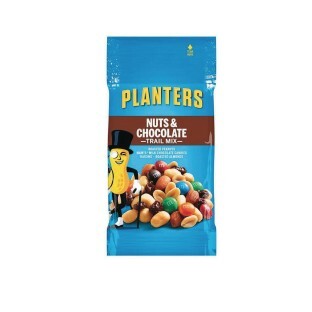 Planters® Trail Mix nuts and chocolate in 2 oz. bags make a delicious snack, in school, the office or at home. Trail mix contains chocolate, nuts, peanuts, M&M's Chocolate Candy Pieces, raisins, cashews and almonds. Kosher.